That line, written by Charles Dickens, sums up my experience with Columbia Sportswear. Accidental is how I’d describe my first meeting with some of the Columbia folks in Salt Lake City in the winter of 2013. While the nice fella recognized me right away I told him I was sure we’d never met and that I was only there for the free beer they had on tap. Like you, perhaps, the last time I had worn an item with the Columbia logo was around my awkward middle school years. That jacket lasted a long time but only because I rarely wore it since it wasn’t very cool. So I told the guy, who now seemed to think that free beer allowed us to have a conversation, that I’m not a fan of Columbia, and their stuff doesn’t hold up. Also, it did nothing to get me a date back in seventh grade. He kindly handed me a long sleeve baselayer with silly metallic looking dots lining the interior and said to give it a go. It’s a good thing I was already married because the inside of this shirt wasn’t going to help my cause. Only a few weeks later, laundry day came around and since it had been a nice stretch of playing in the snow, the Columbia baselayer was all I had left. While I drove into the mountains I realized I had a problem: back sweat. “Where is this coming from?” I thought. I was tempted to pull over and check my back for rogue hairs, the kind of thing that accompanies back sweat as you age. A few months later a nicely presented package arrives at my door. Inside, a stash of gear and a note. Clearly this box was created with the intention of wowing me; well, me and nine others who columbia referred to as the #omniten. 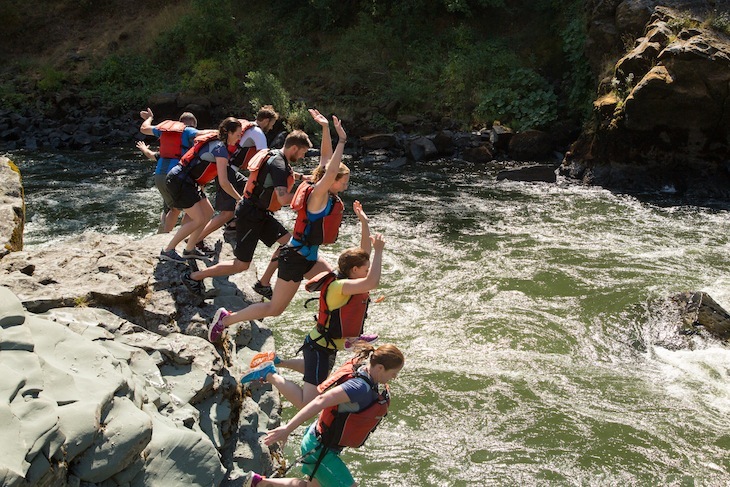 Columbia, who I had only recently started to like because of a single shirt, was inviting me to test a bunch of gear with them and eventually said we’d be doing it group style on the Rogue River. 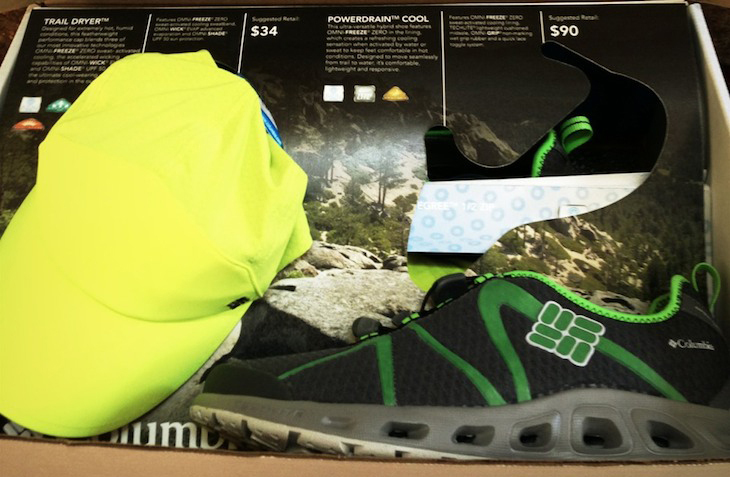 In the months leading up to that trip and during my time in Oregon I began to acquire a new appreciation for Columbia Sportswear. First, their reps and marketing folks began telling us we weren’t required to write about the gear or tell others. What they wanted was real people using and abusing it, while providing feedback on fit and function. It hasn’t all been Skittles and Red Vines, however (I really love candy); Columbia is still dialing in their fit. While most of the gear is pretty bomber, I’ve had random issues with zippers and snags. But Columbia listens and they’re constantly changing things so they can deliver a high quality product at an affordable price. Which brings me to dogsledding. After four seasons of hauling gear abusers around the country I receive a note asking to be part of a reunion. It’s very MTV Real World but I dug that show, and as long as there would be no voting off an island, I was in. 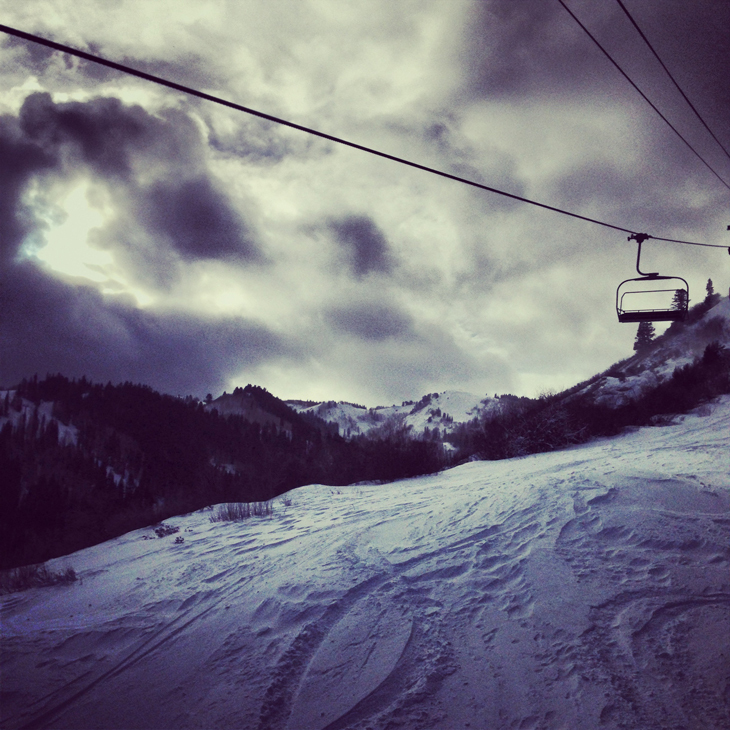 January, 2013 rolls around and I’m off to Park City, Utah. We’ll not only be testing and abusing gear (in a long winter storm as fate would have it), but we’d also be partnering with members from other seasons in groups of two for a little competition. My partner (she picked my name out of a hat so this time I wasn’t the last one standing like so often in grade school) was going to be Beth. Who? My thoughts exactly as I crawled into a dogsled with her. 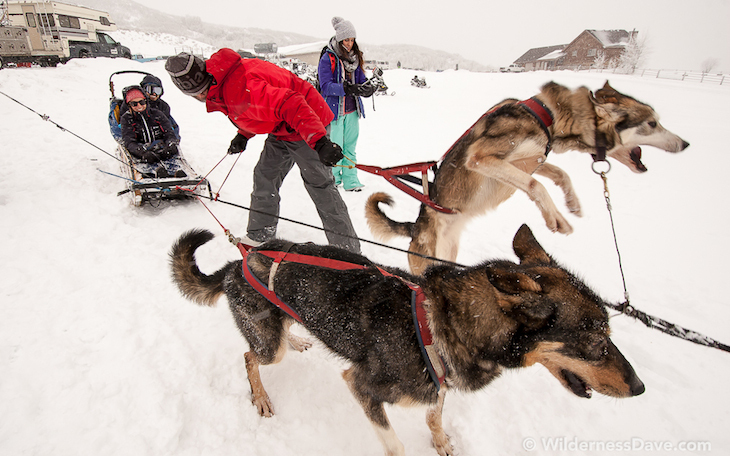 Dogsledding, snowmobiling, archery with a 15 mph crosswind, emergency shelter building, an avalanche beacon search, fire building and water boiling (with a flint and knife and blizzard conditions mind you), and snowshoeing. I’ve never done most of these things but when in Rome Utah. 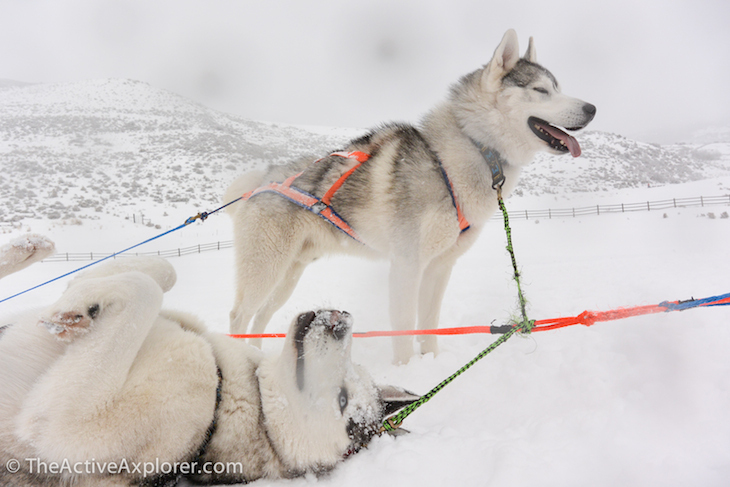 The best part about dog sledding, of course, is the dogs. 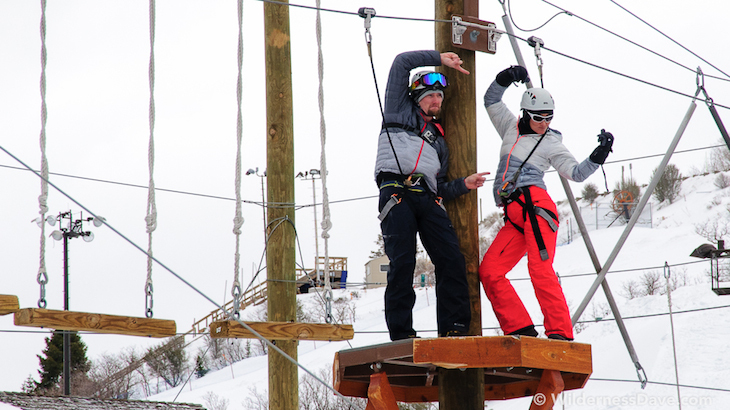 A high ropes course with multiples levels and an afternoon vertical challenge on the ski slopes was in store. 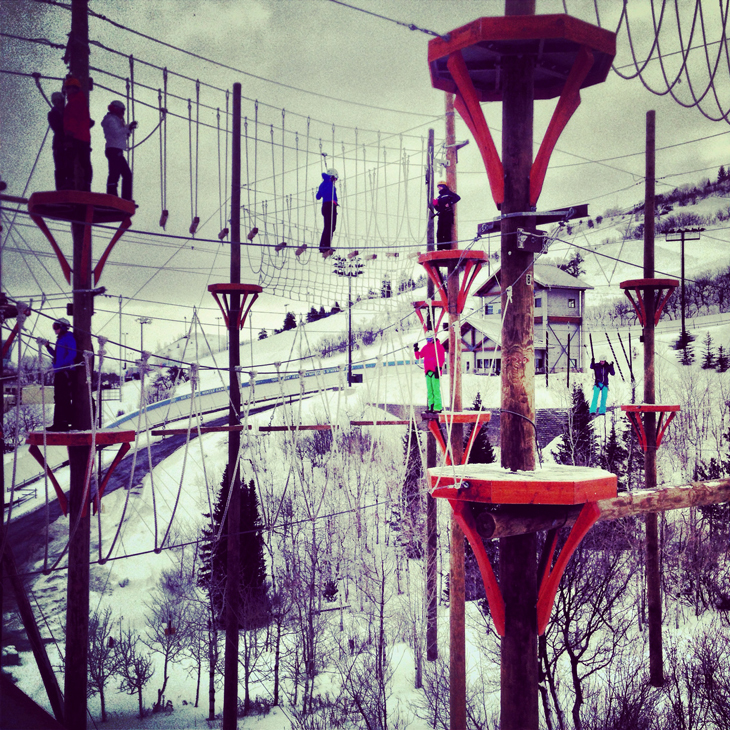 At the tail end of a winter storm and with 40′ below our feet, the ropes course raised the adrenaline a bit. Columbia really knows how to put an event together. It seemed they were very focused on showing us a good time while getting some gear testing accomplished. The ski challenge was all about vertical. Beth and I spent a couple of days formulating a plan. I tried to find elevation gains of each chairlift and lift run times so I could enter them into a spreadsheet. When I couldn’t find them and after a gondola stopped running for a few minutes, that plan went out the window. I ended up here, all alone for the afternoon, but we still managed to do well in the competition. 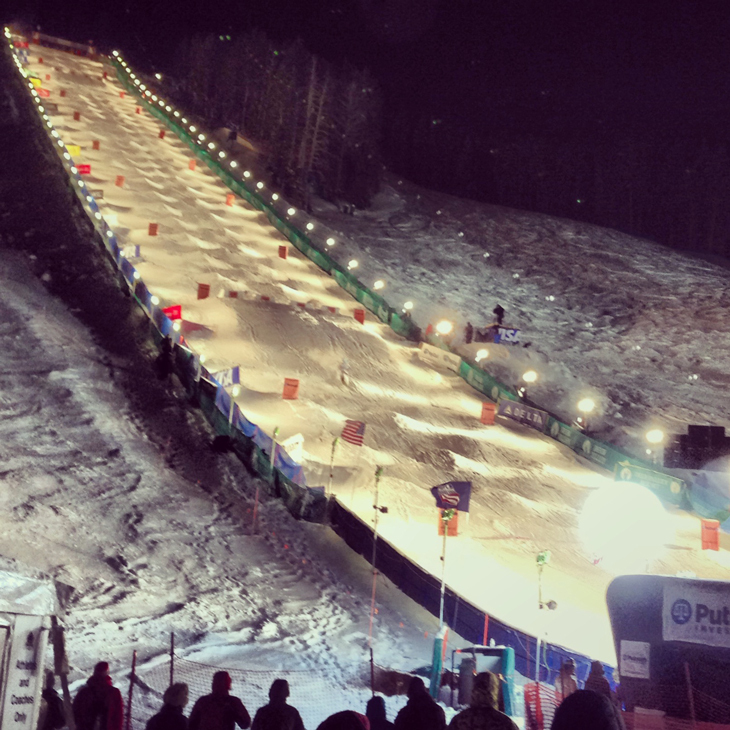 One night we hung out with athletes at the International Freestyle and Mogul World Cup Finals. The winners would be traveling to Sochi, Russia to compete in the winter Olympics a few short weeks later. Years ago I tested my body fat percentage and found the only thing keeping me from competing in the Olympics is a skill. Standing next to these kids I’ve never felt further away. Like you, I’ve seen this stuff on TV. But was was it rad in person! While the Omnigames has been a competition, it’s felt almost the opposite. At times it was more fun to cheer on my friends. How could you not cheer for this? So I’ve changed my mind about Columbia. While they don’t have it all dialed in, I’d like to point out that I have yet to find a company who does. Columbia cares. They’ve assembled real people to test their gear and give feedback and they make changes and improvements. 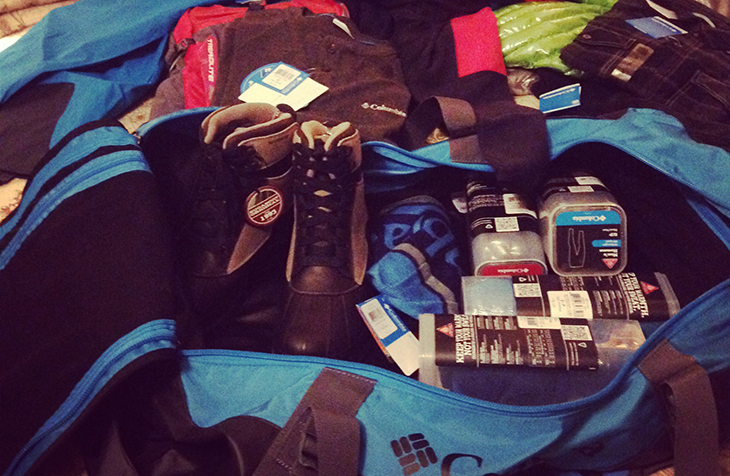 The result is gear that works for real people. Frequently I’m approached about Omniten. People want to be part of it and frankly, I don’t blame them. 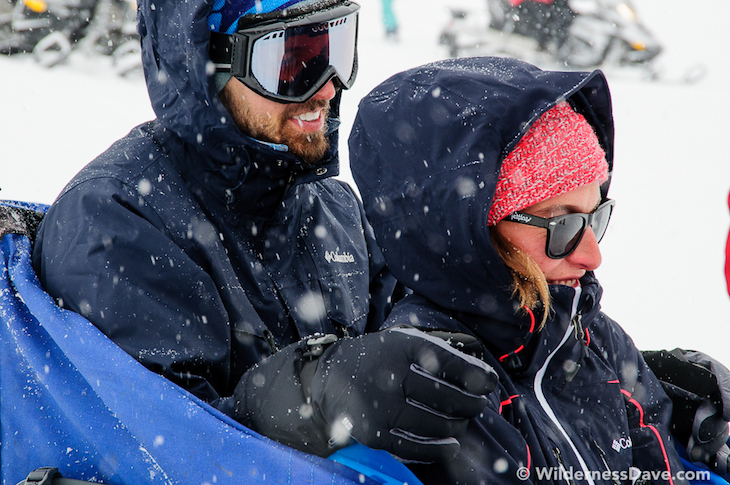 The heart of Omniten is this: #tryingstuff. Columbia didn’t create that hashtag and they don’t own it. It belongs to people like you and I; the ones in the field trying stuff. Photos mainly by photographers more talented than me: WildernessDave, TheActiveExplorer, Seth Yates.